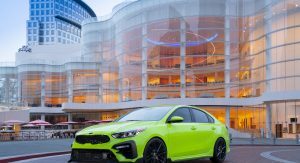 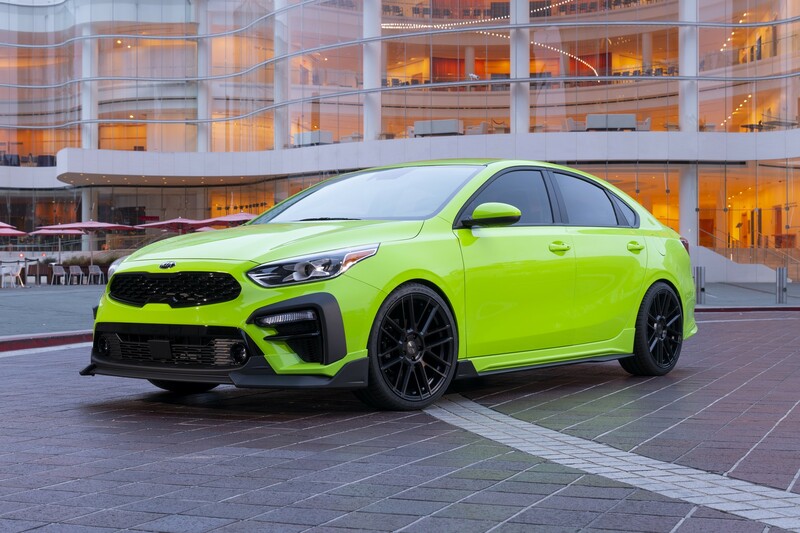 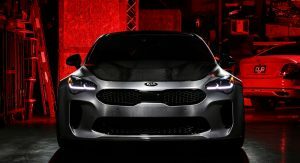 The SEMA Show continues as Kia has taken the wraps off an assortment of different models including everything from a Forte Federation to a DUB K900. 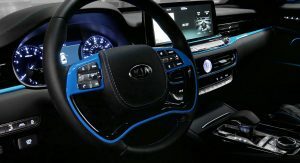 Starting with the latter, the K900 is anything but a wallflower as it has an electric blue exterior with gloss black accents and massive 24-inch alloy wheels. 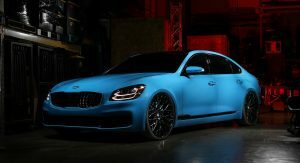 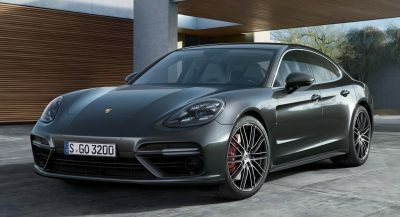 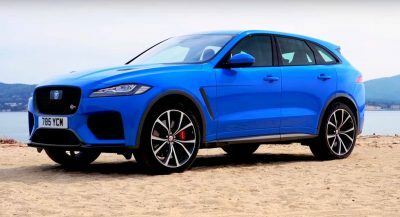 The model has also been equipped with tinted windows and an air suspension. 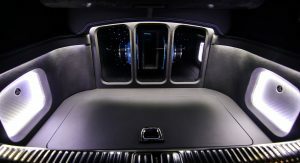 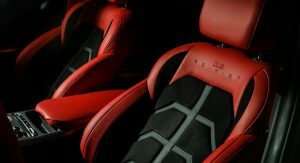 While the exterior styling changes are pretty modest, the cabin has black and blue leather and suede upholstery as well as remote-controlled LED headliner which mimics the one used by Rolls-Royce. 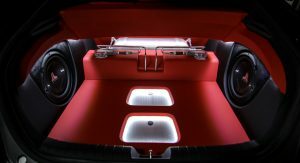 Additional changes are limited, but include a custom audio system and MiFi internet connectivity. 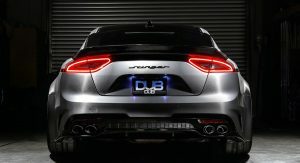 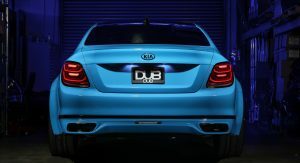 The K900 wasn’t the only model to get the DUB treatment as Kia also unveiled a DUB Stinger GT. 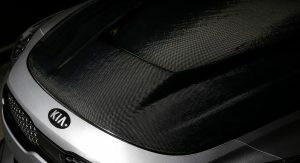 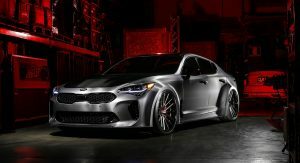 Looking undeniably aggressive, the model has a widebody kit, a carbon fiber hood and an Avery Brushed Steel wrap. 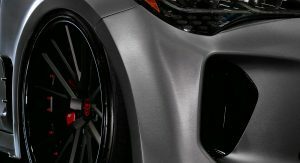 Designers also installed deep tinted windows, a unique exhaust and 22-inch forged wheels with Nitto tires. 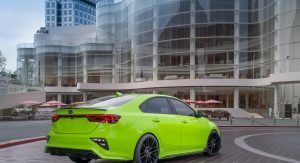 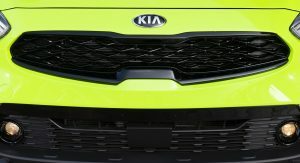 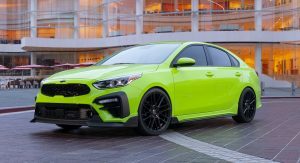 The Kia Forte Federation goes in a different direction as it embraces the aftermarket and features a host of components from various companies. 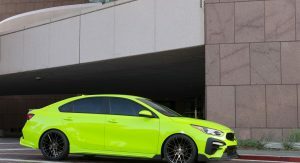 Chief among them is an aerodynamic body kit from Air Design which features a front lip spoiler, new side skirts and a rear diffuser. 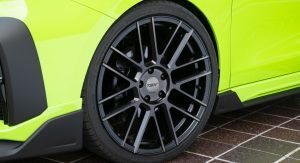 The car also has 19-inch wheels which are wrapped in ultra-high-performance tires from Falken. 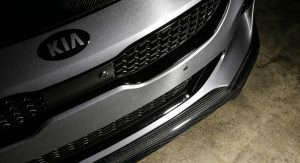 Performance changes are minor, but include a K&N cold air intake and sport springs by Eibach. 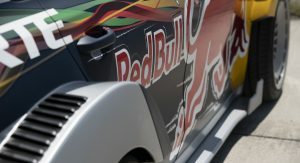 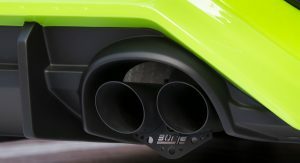 The car also has an axle-back exhaust from Borla. 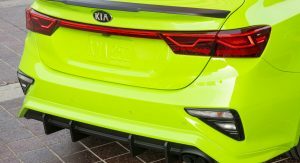 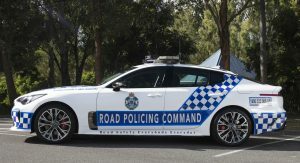 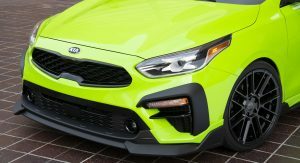 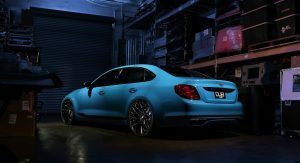 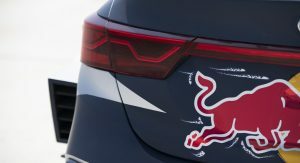 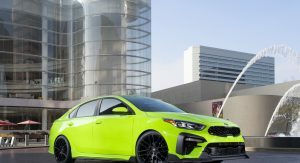 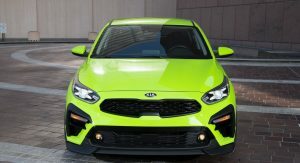 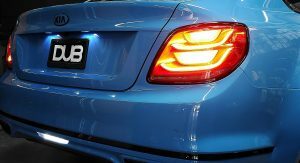 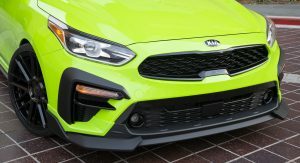 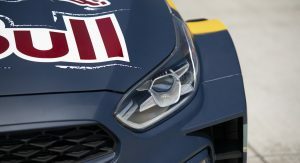 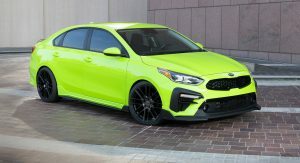 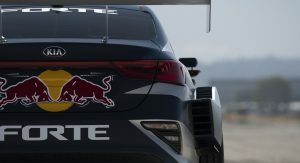 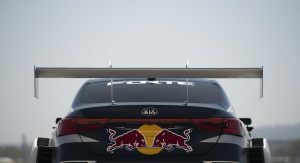 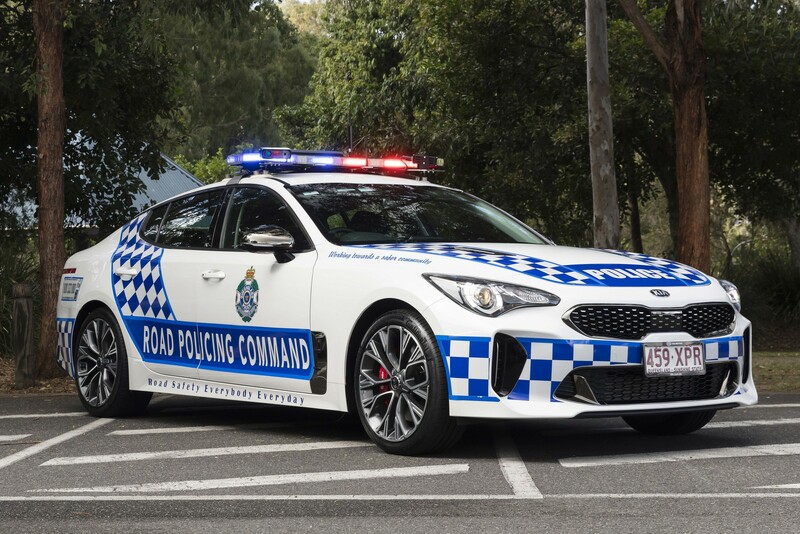 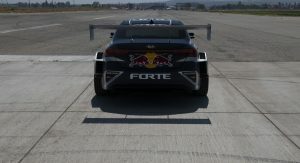 Besides the various concepts, Kia is showcasing the Forte Drift Car and the Stinger GT police car that will enter service in Queensland, Australia. 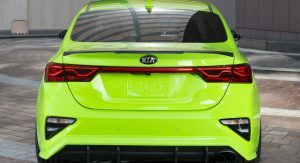 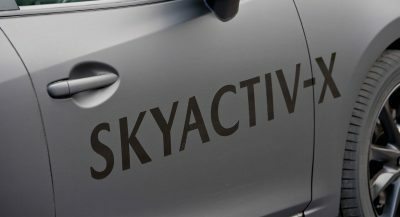 The latter is decked out with emergency lights but, Kia says the rest of the car is stock as the engine, suspension and brakes are identical to the ones used on the civilian version. 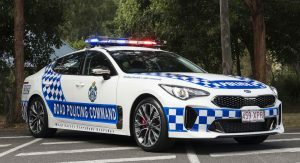 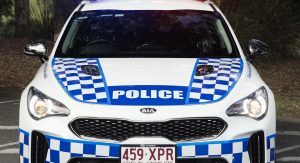 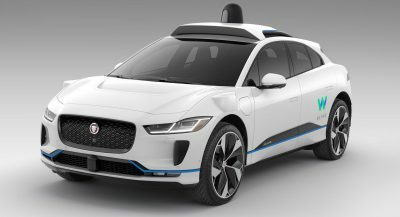 The model was selected by the Queensland police after extensive testing and 100 Stingers will enter service with the force over the course of the next year. 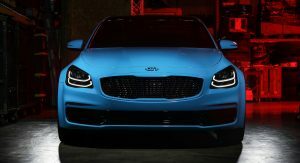 The K900 looks so good. 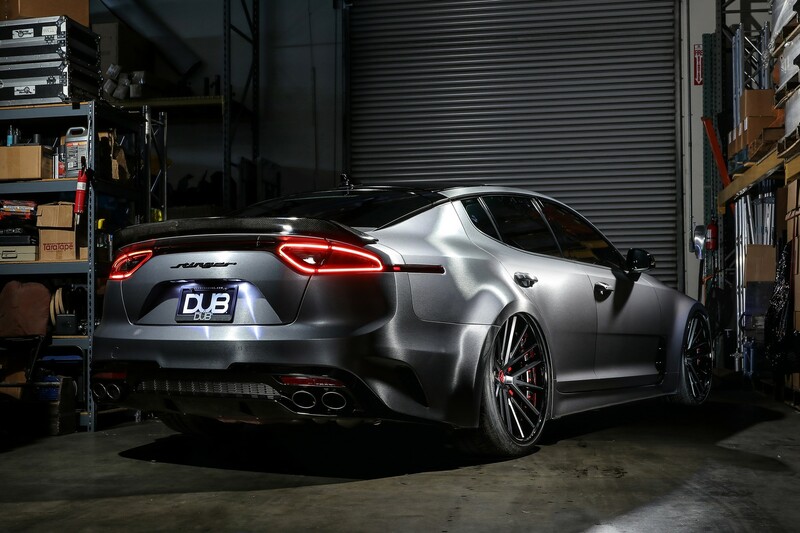 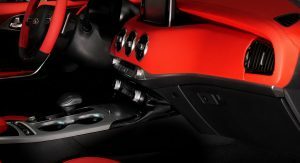 Loving the exterior of the Stinger with the brushed aluminium wrap and carbon fiber accents. 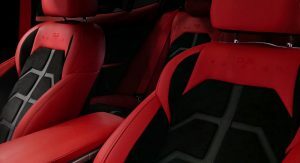 Not too impressed with the interior though. 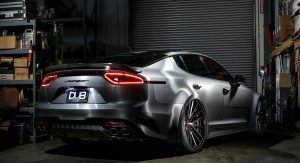 The stinger body lines really go well with the wide body kit. 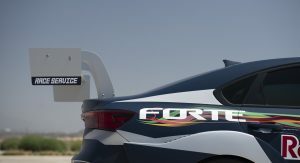 Yep and I feel dirty. 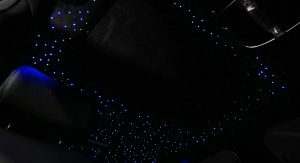 This isn’t 2006. 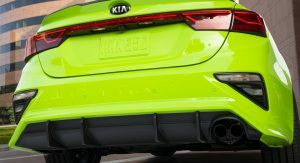 Please don’t do this to the Stinger. 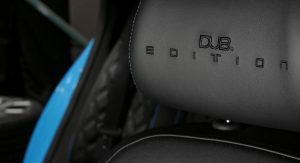 Although I do seem to be in the minority.